In an age where everything can feel like it’s moving at the speed of light, it’s almost funny how we’ve never quite gotten past the need for email. What other technology has remained relatively unchanged but critical to business and communication over the course of twenty-plus years? While industry leaders and opinion columnists have been publishing pieces pondering “the death of email” for years now, it doesn’t look like it’s going any where any time soon. That means your email solution is still something you need to take seriously when establishing your online business. You might be wondering what, exactly, you need to decide on when setting up your email account(s). After all, you’ve had a personal email forever and signing up for a free one is one of the simpler things a person has to do. The only real question is do you use Yahoo, Gmail, or another of the popular heavy hitters? Well, maybe not so fast. Have you considered hosting your own email server system? When buying VPS hosting, you know you’re safe with KnownHost. Why Would I Want to Self Host? That’s the million dollar question, isn’t it? Why give up the convenience of having some big company manage your emails with all the bells and whistles to host your own email on a VPS you’re paying for every month? It turns out there are quite a few reasons why you would want to do this. The first one is you could use the same VPS that you’re using to host your site. This is a matter of preference. Some find it convenient, others thing you should keep your mail and domain separate. If you have the know how and a penchant for privacy, you may want to keep your email on a VPS (either its own or with your domain). Here are some of the reasons why. An email account set up through your hosting company isn’t subject to these kinds of privacy intrusions. By all means, check with your host to see if they ever use your email for analytics purposes, but chances are they don’t. There is another reason you may want to keep your email with a hosting company that’s closely related to privacy and has been in the news quite a bit over the past several years. If you’ve used Yahoo as your email provider for any length of time over the past decade or so, you’re probably all too aware of their massive security breach in 2012 that we’re still discovering more about four years removed. Not to mention it appears they haven’t really gotten things together. Do you want your business emails exposed to these kinds of massive attacks? The question is what is at the root of these security issues? Is a VPS objectively safer? That’s hard to say. Anyone with enough skill can break into a server and it’s not like a big company like Yahoo is lacking in security personnel or budget. The answer comes down to who makes a more attractive target. A company like Yahoo is much more of a worthwhile target because of the size of the company, its worth, and the amount of users that can be compromised. Millions of customers having their information exposed to the highest bidder is a major crime with a lot of value for someone willing to commit it. Someone getting into your email account on your hosting company’s VPS? Not so much. Your hosting company also has their own security protocols that while maybe not on the same scale as a major company like Yahoo, does the job through constant observation. After all, they have many websites being hosted on their hardware that they are responsible for. The “bells and whistles” offered by many of the big email providers were mentioned earlier when the question was posed as to why you’d want to give these things up for an email account provided by your hosting company. Features are nice. The more the better, right? It depends, really. When you use a big name for your email management, you’re at the mercy of their update cycle. Web-based services tend to be on more frequent and dramatic update cycles compared to their smaller counterparts. This means features you’ve come to rely on can be removed without much notice. Also, features can be added in that you’re not a fan of. Factor in the possibility of needing to retrain your staff on email functionality (if that’s the scenario you work in) for best practices and you can see how frustrating this can be. Your email set-up on your VPS likely won’t change much, if at all, depending on the configuration. If you’ve installed your own mail environment, nothing much changes without your say so. If you’re using the email services provided by your host, functionality probably won’t change with any regularity. Here’s where we get into a few “what if?” scenarios. Downtime can be a huge burden when it actually hits. KnownHost provides industry leading uptime of 99.996%. Do the big companies go offline? No, not often. But when they do it’s a huge disruption. Whether it’s a malicious attack or some sort of malfunction, being at the mercy of a major provider going through prolonged downtime can be crippling for your business. With a hosting company, you know a local team is working quickly to resolve any issues. You can also actually get in touch with a human being fairly quickly thanks to the 24/7 support you won’t find with a giant like Google. There are also always outside chances of the big companies dropping certain services. 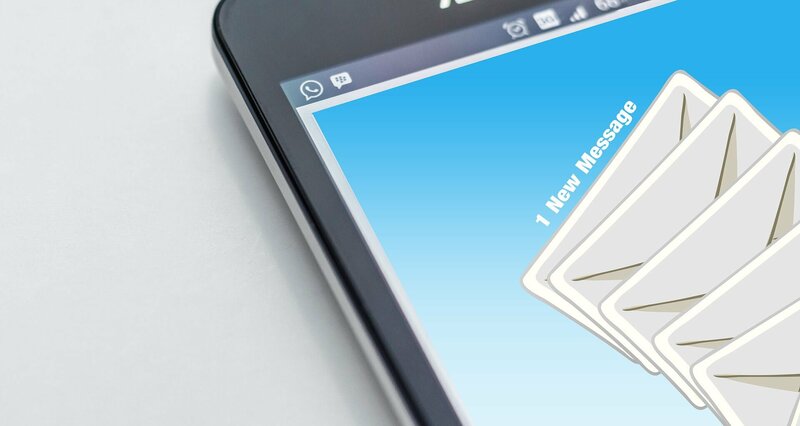 One never knows when a company may deem its email functionality is no longer profitable or there is litigation that causes the email service to be shut down. Companies like Google and Yahoo, again, are prime targets for things like DDOS attacks to make political statements or cause financial disarray. At KnownHost, we know our customers want reliable performance, speed, and access to our support team whenever they need it. Whether you’re looking to host a personal site and accompanying email or a whole ecommerce organization with a fleet of email addresses, we can help. Our VPS packages are designed for every kind of use case. And if you need even more? There’s always a dedicated server option. If you’re looking to get sites or email accounts established, contact our team today and we’ll answer any questions that you may have. In my company we own several VPS servers at Rosehosting mainly because we don’t want to invest much in IT stuff. The tech support is great and they help us with many aspects of managing our server. For those who don’t like to invest in private IT Infrastructure Manged VPS service is the perfect choice.